“Nidhi Jha, 15, from Benares, India dreams of becoming one of thousands to pass the Super 30 exam, which will enable her to have free preparatory education and fulfill her dreams of attending engineering school. Deegii Batjargal, 11, from Ulan-Batar, Mongolia practices her contortionist-training daily, in the hopes of being accepted by an elite circus school in Singapore. Tom Ssekabira, 19, from rural Uganda, works hard in Queen Elizabeth National Park to become a ranger, with hopes of graduating to protect local endangered chimpanzee groups from poachers. Albert Ensasi Gonzalez Monteagudo, 11, from Cuba is determined to chase his dream of attending Havana Sport Academy and becoming and Olympic boxer. Oh damn, people. Do we have one for the old heart strings today. This incredible film is a very special one that I would definitely recommend for anyone who needs to be reminded about just how precious our lives truly are. And if you’re anything like me, you may realize that whatever ambition you have, most likely pails in comparison to what these 4 kids are striving to become. It is absolutely incredible to watch these young people work towards something they dream of. And what is even more compelling, is that some of them aren’t searching for anything that spectacular. They just want to make it! They just want to make it out of their current situation and be great. Their ambition is admirable to say the least. Especially when I can’t seem to peel myself away from a few episodes of Z Nation or playing Fallout 4 to try to write something. 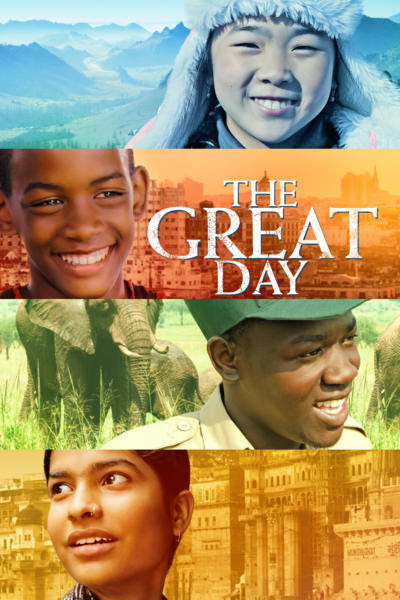 The Great Day is a film that is as inspiring as it is beautiful. Filmmaker Pascal Plisson brings us an extremely fascinating true tale to the big screen that is truly not to be missed. I simply cannot recommend this gem of a film enough. In an attempt to not cause too many spoilers, I just have to say that the ending of the film is going to make you smile. And what more could you want from a film? Find The Great Day on VOD Nationwide on Tuesday, October 10 on all major platforms including iTunes, Google Play, Amazon, Microsoft, Vudu, Comcast, Charter, Cox, Vimeo, and various other cable operators.